From the 1964 Italian comedy Seduced and Abandoned, we get that fun European mix of musical styles by composer Carlo Rustichelli (who also did Divorce Italian Style and Four Days in Naples) Some of it sounds very much like you’d expect from an Italian comedy, and you also get some spaghetti western sounding stuff, and even some cues that sound like they should be from a war film – ah, those crazy Italiano’s! Some of the tracks are incredibly short. From 1966, we get some good stuff composed by legendary jazz saxophonist Sir John Dankworth. I had only really known his work from the early series’ of the Avengers (the pre-Peel era episodes). Good mix of tracks: You get some jazzy ones, some swinging stuff, some rocking songs, even one of those cheesy vocal tracks where the don’t use words. Cleo Laine (Dankworth’s wife) sings on a couple tracks, though only credited on the first one which doesn’t actually appear in the film! Not sure if the film is any good (despite staring an Academy Award winning actress) but the music’s fun to listen to! An interesting and raw collection of big guitar sounds from the second album in the series (oddly, we already have volume 3 in the library, but not volume 1…) ? ?I’m not sure where they got some of the “masters” from, as I swear heard a needle drop between two of the tracks and some of the tracks are just cut off at the end (though mostly with studio chatter). This doesn’t actually affect the music, performed by some of the best named bands I’ve come across (Sir Bald Diddley & His Right Honourable Big Wigs and? ?Count Zero & The Cosmic-Noughts are a couple of the more interesting ones) and even some names familiar to me (and maybe more to the seasoned reverb nut – I’m looking at you Cousin Mary!) As the back of the album says: “Music to dance, work, play, eat, sleep and drink to” and I’ll second that! A bunch of session singers (the birds) and a bunch of session horns (the brass) collide for a cheesy hour of music. 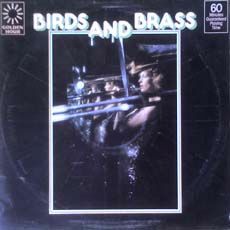 Not to be confused with Keith Roberts’ Birds ‘N Brass albums from 1970 & 1974, this 1976 album from Stan Butcher has been called inferior by those who have heard the other releases and the quality of the 60-minute playtime also doesn’t help this release. That being said, I do love me some cheese; and while this hunk of cheddar may not get you rolling down hills any time soon, it has a few tracks that will put a smile on your face (or maybe indigestion, depending on your inclinations). Tucked into these 24 tracks are many recognizable covers, plus a handful of original songs from Stan Butcher. My Philly raised better half was surprised to hear “I Can Sing a Rainbow”, as it was the end theme to the Captain Noah show (though not this version). Written and originally produced in 2003 by the team at Guggenheim Entertainment (the same people who recently brought us Thanks for Playing the Game Show Show) this holiday musical cleverly pairs the music of Tchaikovsky’s The Nutcracker with lyrics about Chanukah. This CD is the original cast recording from 2005 (not the yet to be released concert recording from 2012). Based on the Jar of Fools and Eight Stories for Eight Nights, the libretto tells the tale of eight Chelmniks (citizens of Chelm, the fictional town of fools) who gather once a year to perform their Chanukah festival. Through the course of the two-act musical they tell eight stories which celebrate and honor the triumphs of Chanukah heroes from the time of the Maccabees through modern day – all in their delightfully foolish Chelm style. 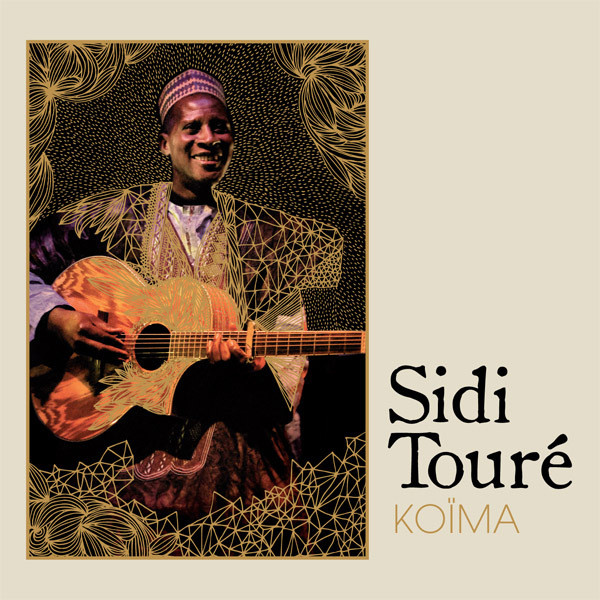 This is the third release from Mali singer-songwriter Sidi Toure, yet it is the first to make it to KFJC. He sings and plays guitar in a songha?? blues style, with various accompaniment. Not a spectacular release, but ten highly enjoyable tracks (even if you can’t understand the language), most of which hover around the five minute mark. Tracks #8 & #9 is a more western sounding blues songs, and #5 felt like it could easily be paired with some traditional eastern asian songs. Alejandro Jodorowsky reads to be quite an interesting person. Born in Chile to Jewish Ukrainian parents, worked as a clown, moved to Paris and studied mime and created a comic strip before embarking on a career in film making. 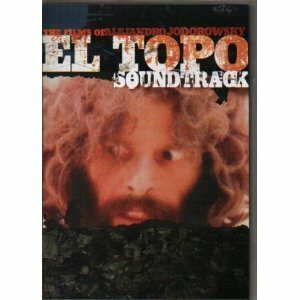 El Topo is Jodorowsky’s second film – described as an Acid Western – and was written, directed, starred and (important to note here) scored by Jodorowsky himself. 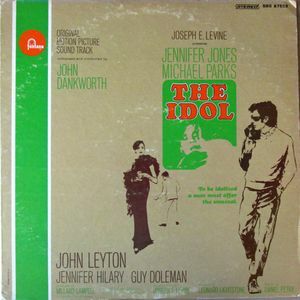 This soundtrack, which was part of the 2007 Anchor Bay DVD release of the films of Jodorowsky, is a reissue of the Apple records release from 1971 (apparently recorded at the request of John Lennon, who was a big fan of the film) and not to be confused with the Shades of Joy release. 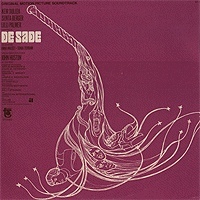 It sounds like Jodorowsky does a great job of creating music that is needed for the scene. The music goes from standard film score sounds to spaghetti western horns to south of the border oompah march music to even some jazz. Basically, a little something instrumental for most people. 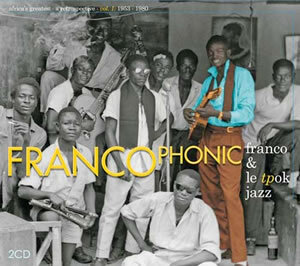 Just picking about on the internet finds an incredible amount on Franco (born Francois Luambo Luanzo Makiadi) and TPOK Jazz (Tout Pouissant – or All Powerful – OK Jazz) and the incredible discography that this first volume of work only hints at. In a nutshell – this is the premiere Congolese rumba combo, lead by Franco (dubbed the “Sorcerer of the Guitar”) over the course of four decades and nearly two-thousand songs – of which twenty-eight are presented here, chronologically. Despite the age of some of the recordings, the release sounds fantastic and over the course of the release continue to improve. 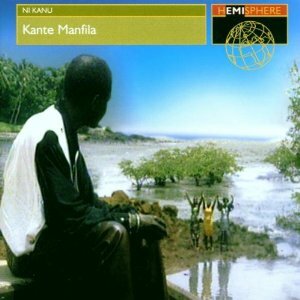 This is Kante Manfila’s fourth solo album, which apparently it translates as “Love” and is about topics like arranged marriages, materialism, lust for power, piety, truth, war and righteousness. It has a polished, mainstream African sound – the kind that Paul Simon’s “Graceland” made famous here in the ’80s. It’s not bad, but for those of you who fear a soft and warm auditory experience – you may be passing on this. For the rest of you, I’ll recommend track 8 (Koufenko [Destiny]) – but your milage may differ. CD reissue of a very limited Argentinian self released LP from 1969. 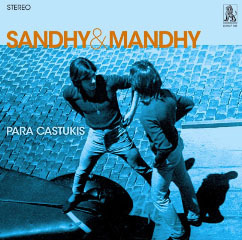 The first 13 tracks are the album Para Catukis, which the duo Alberto Infusino (Sandhy) and Alberto Vanasco (Mandhy) recorded as a demo – which they decided to have pressed as an LP (only 110 were made). The producer was looking for a duo, but Sandhy & Mandhy managed sounded more like a band and were subsequently not picked up. I really love the cheesy sound of the keyboards throughout – but especially on La Chica Sola Y Triste. And despite the quality of the recordings, the covers are quite fun (I think they keep going back and forth between Spanish and English but I can’t really tell). A really fun excursion into music of the late sixties, but with a South American flavor. 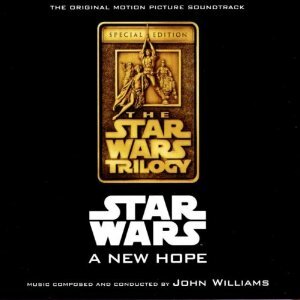 If, like me, you were around when Star Wars first came out you probably picked up the 2 LP soundtrack release. You may have even played it to death (or was that just me?) so a CD release was something of interest. In 1993 the first 3 films were released in a CD set with a bonus disc covering all three films – though that was essentially a rerelease of the original LP set. What we have here is the 1997 release that coincided with the “Special Edition” release of the film. Say what you like about Lucas’ reengineering of the original films, he never messed with the music (something he apparently felt was perfect about the first film) and all the original cues are presented here as they were heard in and in the same order as in the film. Only 75 of the full 88 minutes of the score was released in 1977, here we get 93 minutes of material here (including some alternate takes, plus an extra 12 minutes of the main titles session as a secret bonus track at the end of disc 1 – so we really get 105 minutes). 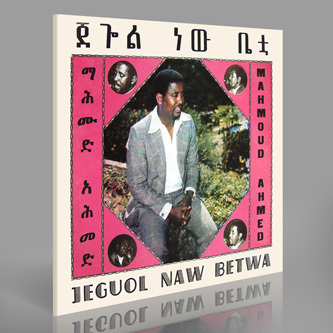 All great stuff, and just in time to remind people about what a great series the originals were – as they get ready to see the inferior prequels in gimmicky 3-D.
Ethiopia’s Mahmoud Ahmed’s 1978 release with the Ibex Band – apparently the last LP before a period of censorship, where only cassettes were used to circulate his music. It’s good music, but I was hoping for great (there’s been a bunch of great Afro-pop records that have come through in the past year.) It makes me wonder if the political climate of the time, and the curfew stifled night-life may be at cause here. But don’t let my disappointment based on high expectations deter you from sampling this record – it is still a good example of ’70s Ethiopian pop, and worthy of a few spins. 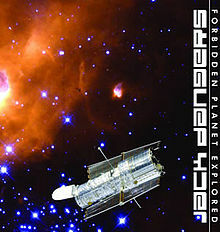 Jack Dangers’ recreation of the Louis and Bebe Barron electronic score to the classic film Forbidden Planet is an excellent adaptation – which was performed live, with the film, on his EMS Synthi 100 (something that the Barron’s would have killed for in the ’50s) in 2004. There’s also an added disc of Sci-Fi sound effects that sound like they’ve come from the BBC Radiophonic Workshop. 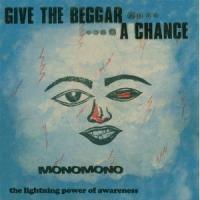 Give the Beggar a Chance is Monomono’s 1972 debut album along and is reissued here with an extra 12″ single. The band is fronted by Nigerian multi-instrumentalist Joni Haastrup, and he presents a funky ride of singing guitars, humming hammonds and soulful lyrics – complimented by his bandmate’s bass and percussion as well as talented guest artists who help propel this album into the must play category. All the tracks are great, making it hard to pick any stand out tracks – but give the title track a try, or if it’s 6 minute length is too much for you try Kenimania (named after the groups bassist Keni Okulolo). The track lengths range from 4:22 to 7:09, so there shouldn’t be any reason not to find a track that works for your show. This EP is 50% collaboration and 25% each solo work of Andrew King and analogue artists Brown Sierra (Pia Gambardella & Paddy Collins). Side A is the Brown Sierra side, with Andrew King performing the Alfred Tennyson poem “The Kraken” over what I will call “oscilloscopic noise”, followed by Brown Sierra on their own with “Abysmal Sea” – which sounds like a hive of bees speeding around a tube. The B side is King’s side, with Brown Sierra taking a more minimalist approach to the baking of King’s rendering of the sailing song “The Bold Princess Royal”. This is followed by King’s rendition of “The Death of Nelson” recorded on location in Greenwich with the sound of the Chapel clock tower of the Old Royal Naval College ticking away in the background. This EP has something for most of us – from Ann Arbor to Cy Thoth (and with it’s nautical themes, Captain Jack is almost a given.) The noisier side A is 3 and 5 minutes in length, with the more traditional sounding side B from 5 to nearly 8 minutes in length – but they are worth the investment of you and your listener’s time. Chants, chants, chants… ? ?This time it’s Islamic chants, from the island nation of Comoros – a former French colony situated between Mozambique and Madagascar. ? ?More specifically, it’s Sufi chants – a subset of Islam – where they do not consider it music, but more of a necessary speech in their progression towards god. ? ?While the tracks are great on their own, I see them being blended by many DJs into some of their favorite ambient and droney tracks. ? ?Oddly, a couple of the tracks are mixed in to some channel surfing. 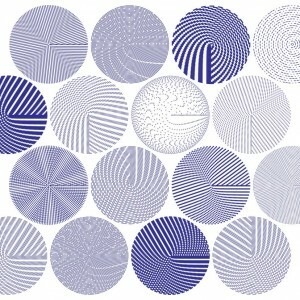 Defunct Boston folk-meets-space-rock ensemble Abunai!‘s final recording, released in early 2003 (not long after the band’s break up in mid-2002). The titular track to this 12″ single – Two Brothers – is based on the 49th poem in the Francis James Child collection of folk ballads called “The Twa Brothers“, which many a folk artist in the past 50 odd years has made a recording of. This release has a psych-folk-rock version clocking in at 7:29, and a dub version on the B-side clocking in at 15:20. The other track on this release – Lord Hampton – was recorded live at Terrastock back in 2000, and is a rawer psych experience. Definitely a worthy addition to the KFJC library.